In this crazy market, there is so much apprehension and so often, renters assume that it’s just safer to wait it out. But what are the facts? 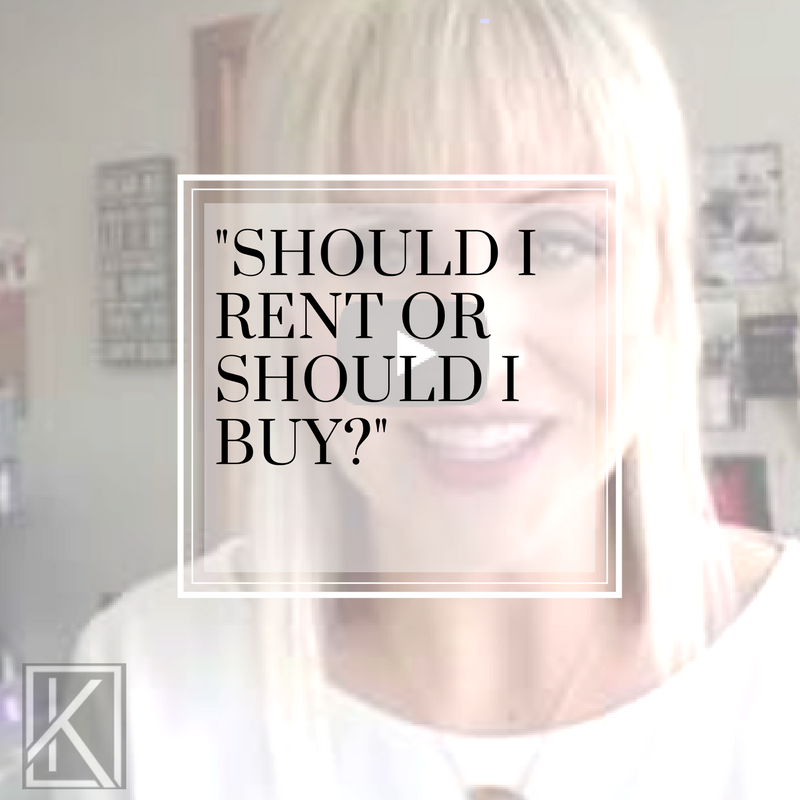 What are the key things you need to know about buying vs renting? Here’s Brooke to give you the low down. Rental prices are continuing to increase – we’re seeing a national average of a 2.7% increase in rental prices. 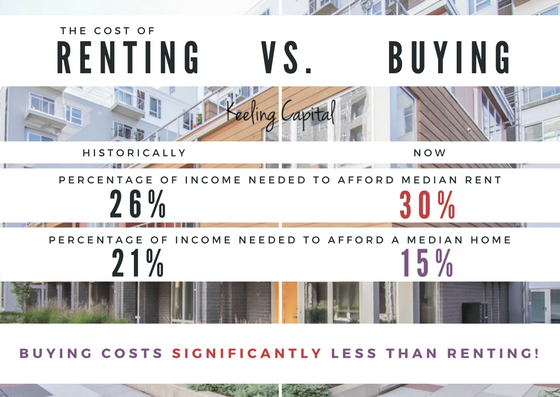 Rental prices are often half of your income and you’re paying someone’s mortgage…it doesn’t make sense. There is a misconception that you need a huge amount of money saved for a downpayment. Most people assume that it has to be 20% down …. whereas realistically you can get conventional mortgages for as little as 3-5% down. Mortgage payments, even with a smaller downpayment over a 30 year, fixed year term, can often cost you less money a month than you pay on rent. One other item you should be aware of when it comes to waiting to buy is rising interest rates. It’s estimated that interest rates are due to rise to 5% by the end of the calendar year. 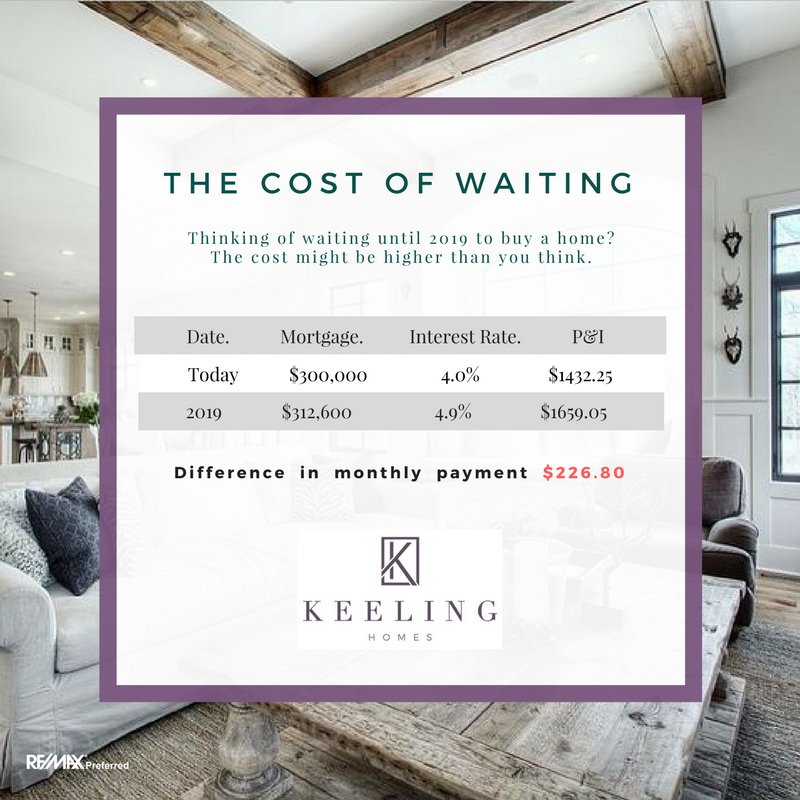 So if you do decide to wait, you could have less buying power and be stuck with a higher monthly payment. See the graphic below which shows you the estimated difference in payment amounts today, and in 2019. These are just some of the many reasons that you might be in a stronger position then you think and why waiting could put you at a disadvantage. 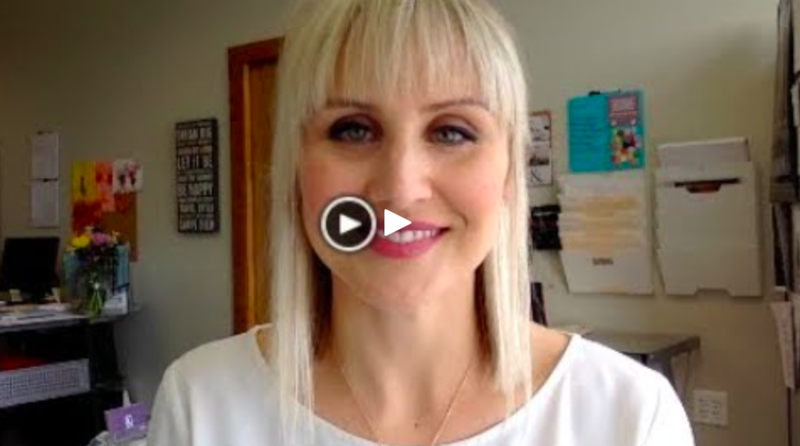 If you have any further questions about your own financial situation and whether you are in a good position to buy, schedule a free strategy meeting here. Or shoot us a quick email at homes@keelinghomes.com.